My crowd source campaign is edging nearer. I’m in the midst of preparing email lists, editing the prelaunch 30″ video, doing motion graphics for the pitch piece, and making sure the message is consistent and uniform. When I started imaging what to provide on the accompanying Blu-ray disc, I knew that I would have to include a bunch of my high-resolution audio tracks. That’s easy. But what else would draw curious audio enthusiasts to the disc accompanying “Music and Audio: A User Guide To Better Sound”? That’s when I thought that including a few comparisons would be compelling. I find it difficult to accept that a listener would be able to clearly perceive a difference in fidelity between two different cables, formats, sample rates, word length, power cords, or whatever if they were not able to instantly switch between the things being compared. Does anyone really believe that having a 30-60″ (optimally…it could be a lot more) gap between the playback of configuration 1 and configuration 2 is tenable? There are just too many variables to consider in doing a comparison this way. Is your head in exactly the same place, are you in the same spot in the song, and is your frame of mind the same? Having a completely equipped professional studio makes doing comparisons much easier. I can stream digital data from a single source or two identical digital players and route them to a couple of inputs on my control room monitor system or a couple of input channels. Then it’s very simple to hit a noiseless button to choose one or the other source. This is how I do my comparisons. I’m listening along and simply switch back and forth between the options. Depending on what’s being compared…sometimes I hear a change and sometimes I don’t. Under most circumstances this ability to switch quickly and without any noise or level drop is difficult. I remember assisting with the research study just before the Christmas holiday last year. I had everything set up in my laptop DAW to switch between the lo-res and high-res files…instantly and on command. But they organization balked at compensating me for the project so they reverted to playing the files in sequence. It contributed to the results being meaningless…the participants rated the MP3s as the best sounding as often as the actual high-res files. The Blu-ray disc format provides a unique capability. It is possible to have high-resolution PCM files on multiple audio “tracks” and then switch between them by pressing the AUDIO button the remote. I use this capability to allow customers to switch between the three different mixes available on my Blu-ray discs. As most of you know, my releases have a traditional 2.0 stereo mix and two different 5.1 surround mixes called “stage” and “audience”. What if instead of different mixes, I place different formats on each of the available audio tracks. Users could use the AUDIO button and instantly compare a 256 kbps MP3 file against a CD res file, and a true high-resolution file. I’m planning on using the same technique to compare a heavily mastered file vs. an unmastered file. Don’t take my word for it. Listen for yourself and see if you and your system can hear any differences between these comparisons. Then Frank from an audiophile society back east wrote to say that the members of his group wouldn’t be interested in a Blu-ray disc because they don’t have a Blu-ray player in their main music room. He mentioned maybe 5 out of 60 members might be properly equipped to take advantage of the “Music and Audio” A User Guide to Better Sound” Blu-ray disc. I don’t want my target audience to miss out on this opportunity. What can I do? I’m happy to allow customers or supporters to download the files but they wouldn’t have the ability to do an instant comparison. So I’m curious how many of you would be able to play a Blu-ray disc in the proper environment? I keep trying to improve the landing page for the approaching Kickstarter campaign at “Music and Audio: A User Guide To Better Sound“. There are a few videos of me giving the keynote address at the recent Newport Show. Please add your name to the list. So far I’m just shy of 200…I’d love to get to 500 or more by the end of the weekend. Thanks. Mark, I would definitely be interested in a blu-ray disc if it allowed the comparisons you mention. Why wouldn’t you have an Oppo or similar device as part of your system? I certainly find a large number of audiophiles have an Oppo in their setup. A blu ray disc would work fine for me. Looking forward to your launch. I’ve been able to play Blu-ray discs in both my home theater and 2 channel setups for a couple of years now. 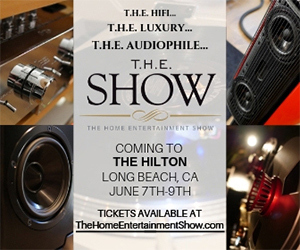 The audiophile society dudes are behind the times! My OPPO 93 will handle the Blu-Ray disk!! That crowd is a lost cause. The rest of us, who consider our theaters places to bask in great music – as well as films, would welcome your disk. I wouldn’t let one audiophile organization determine your direction. There are those of us who have embraced the Blu-ray format and I’m sure the other audiophiles will too when they feel the content is compelling enough. The cost of entry for Blu-ray is very low these days. And what is your focus? Sell to the finicky audiophile crowd or provide the only Blu-ray disk on the market that accurately educates the average listener to what Hi-res audio really can do and what ripped mp3 files are not? I have everything needed to play just about any file on my main system with HD Video so for me it wouldn’t be a problem. 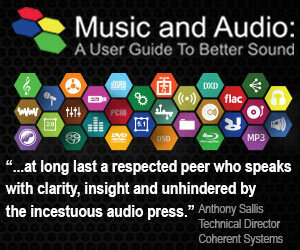 Many audiphiphiles have only a dedicated two channel setup so for them it would be a issue. My setup can do up to 7.1 if I bother to run a few more cables and speakers but I doubt any of the analog guys would be interested even in the 2 channel digital version on the disk. Some will be able to play a CD version I spoke but it is a interesting problem. I think most of the folks interested in your disk should be able to play it or they probably wouldn’t be checking and reading your posts here. Good luck with it and I’m looking forward to what you release. Foobar2000, a free music player, can do ABX test for two files. You don’t have to worry about it. That said, sadly Blu-ray is not what people want these days…. Most of computers (especially laptops) these days do not have any optical media drive installed at all. Microsoft also stopped support on DVD playback on their newest OS, Windows 10. Blu-ray playback support is completely out of question. People just do not want to buy Blu-ray, Mark… I am such a extreme exception who actually buys a Blu-ray ‘audio’ disc, but I am the only one…. none of my friends, family members and colleagues buy Blu-ray media. See the leftmost example? You make a nice usb card for kickstarter supporters. I like this idea…thanks for the suggestion. That’s why you should run Linux. Time to stop letting big brother Wiindoz control your computer options. Sorry for double post… But like this one would be great for ‘reward’ for the kickstarter campaign. Count me in for the USB card. I have an OPPO BDP-93 connected to a 5.1 sound system. The front speakers cover the full frequency range, but the center and rear speakers don’t (down to about 140 Hz is all). I do not use LFE. I for one would like a Blue-Ray disc ! If you’re keeping track Mark, I have a Linn stereo system at home set up in the only space it will fit. No room for a speaker system that would show off the abilities of what your recordings offer. I can play a blu-ray disk in my home theater/music system. I am interested & setup to test, some aspects. I have some limitations. My BluRay player is limited to 24 bit 48000hz. My speakers are capable of 18-30000hz [Including Sub]. Unfortunately my preamp cuts out @ 20000hz.. In theory, I shouldn’t notice much difference above CD quality, but your recordings are more alive than most recordings. I also enjoy ” Chris Botti Live in Boston” on BluRay. It stands out, as do your recordings. I agree that quick switching is the most effective comparison. I often wonder how a purchaser can determine which components are better, when they often test in varying environments. I wonder how much age affects our appreciation of High Resolution music. I can still hear 14000hz, but that will decline. Hi Mark. On the subjective side, if a listener cannot discern the differences between speaker cable, interconnects and mains cables then their powers of perception are IMV void having a high class front end source such as your hires music productions. Synergy exists when everything comes together in a 2+2 =4 world, something the magazines fuel to constantly change items of hardware to achieve. I would argue strongly that joining equipment up with basic stranded copper (read mains flex) is not optimal and it appears you are not convinced that by swapping out the throw away interconnects that come with low end gear is worthwhile? There are other items such as equipment stands that also influence (IMO) the musical outcome and once experienced, there really is no going back, just like your recordings, they stand out. As you are mates with Ray Kimber, get him to sort you for some studio feeds, you may be in for some pleasant surprises! Stick with the Blu-Ray disc, if folk don’t have a Blu-Ray player then surely if they’re interested enough they could borrow one perhaps ? That’s what I’ll be doing, plus I’ll get someone else to do the switching to approximate a blind test of the different formats. It’s not ABX double blind testing etc but it’ll suffice for me with my modest setup. But keep the files available for download as an option for anyone unable to beg, borrow or steal a Blu-Ray player. I have purchased my second blu-ray player, an Oppo 103D (from Shelley’s in Santa Monica), and find it to be an astonishing player. It also plays files from thumb drives. I downloaded some SACD demo files from 2L in Norway and was treated to the best sound I have ever heard on my system. I think most audiophiles have never heard a good 5.1 or 7.1 etc. system. Any blue ray player will be a very good CD player and cost no more (or much less) than an “audiophile quality” CD player. If you want music to break in speakers, cables, etc, just play the soundtrack from “Avatar” twice. It will make quite a difference on new gear. Regular DVD sound is very good also. Keep smiling, Boomer Bill BTW you can buy used CDs and DVDs from Amazon and save a ton of moola. Maybe these ‘audiophiles’ aren’t interested in comparing different files at all. It might reveal something, that they don’t want to know. I appreciated Frank sharing his perspective on the Blu-ray issue. You may recall my reply last week, in which I said I could appreciate the difference between 16/44.1 and 24/92 material with my great system in my great listening room. As you alluded to in your response, I should have mentioned that this only applies to material with a high res provenance. But yes, I do have a Blu-ray player in that room (its the Oppo 103D that I stream all my high res music through). So i would be able to play your Blu-ray disc in my serious listening environment. And I would think that any ‘serious’ audiophile who spends the sort of cash on their gear that such people usually spend, would have a Blu-ray player somewhere in the house and should be willing to at least temporarily relocate it to their serious listening room in order to facilitate the instant switch comparison that you are considering providing on the Blu-ray disc. I certainly would be, and I urge you to include this functionality! I’ll make sure to include these items on the BLu-ray. Maybe there are other things that readers would like to see on the disc. I’ll put my hand up, I have a Bluray player in my main listening room, which is also my home cinema, it is getting on a bit in age now and cannot do this new fangled 3D stuff but it still pleases me. In my main media room I have an OPPO-103D connected by HDMI to an Anthem Statement D2v a/v processor. With this configuration switching between different audio formats works, but it is not instantaneous, there is about 1 second of silence whenever the audio is switched. For music, it is much easier to switch formats/mixes with Pure Audio discs since a video monitor is not required. 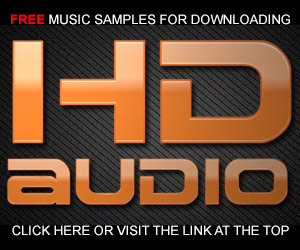 As a download file option, you could create a high-resolution file that is a mix of switching between the different formats converted back to the high-resolution bit depth and sampling rate. This wouldn’t allow the end user to select when the switching happens, but it would provide instant switching. I’ve done this in the past…it’s less than ideal but does work. The use of Foobar with the building A|B switching was suggested. I think that’s a good idea. >how many of you would be able to play a Blu-ray disc in the proper environment? I would, and I think this would be very interesting to try! Yes, I have a 5.1 multichannel system with a Samsung Bluray player so I could enjoy the BluRay disc. Think I’d prefer the Mixes over the Format configuration although both are mainly novelty configs and how many times are you going to play with it? So a hard call really. Although I don’t consider this system to be my high res system, my Computer Server-Emotiva DC-1 DAC and Senn HD 650 phones serve that purpose, I am surprised that so few have a BluRay 5.1 system in their media room. I would have guessed that more home setups would have swung over to a combined Audio/Video system in todays world? Blu-ray would work for me. Perhaps some direction on blue ray players is in order. I’m sure many have HT setups that from an audio perspective are “low Fi “. I believe Frank is correct, that fewer than 20% of audio enthusiasts use BR. I really appreciate your efforts.Sound is so objective. 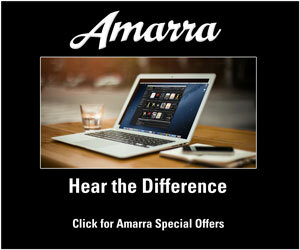 Without the ability to compare audio files quickly and seamlessly, we can’t possibly hear these subtle differences. I have a Blu-ray player and I’m in! The answer at our house is that in our music room we play all our CDs through a Blu-ray player (to which I’ve attached a tiny monitor that allows me to see the track numbers). We run both our computer files and our disks through a Peachtree DAC. I do have some Blu-ray audio-only disks, including the recently reissued Solti “Ring,” but I still prefer HD downloads because to me the sound seems more transparent and airier, with more venue space around the instruments and singers. Even though I have the Solti both on Blu-ray disk and on the equivalent download, it’s the download that I almost always play. If the files come from the same master, there shouldn’t be any sonic differences between the disc and downloads. Have you compared any of my tunes or albums this way? James – If you are using a direct coax connection to your Blu-Ray player, the output will be downsampled to 48/16. You can use a device such as the KanexPro HDMI Audio Extractor to extract the audio stream without the downsampling. This is a real issue, Mark. It appears to be widely accepted that the Oppo units downsample material from SACDs, Blu-ray etc discs for digital output via coax or optical. http://www.computeraudiophile.com/f8-general-forum/oppo-bdp-95-issue-bluray-audio-disc-12781/ Apparently, its a licencing issue, rather than technical, so I guess all of the Blu-ray players will do the same – perhaps this is a fatal flaw in your otherwise great idea. They don’t downsample the digital output for streamed high res material, or when reading from an attached drive. But how to achieve the instant switch with these? All Blu-ray players are mandated to downconvert the S/P DIF output. The best way to do the tests would be to use the internal DACs or get the Kanex Pro deembedder. Me and my Oppo BDP-105 can hardly wait to get our hands on your BluRay. Is it not possible to simply change the resolution of a music file by including different resolutions within a single file? I’m envisioning a single file with cut and paste of differing resolutions. If, for instance, I wanted to compare MP3 with CD, could I not edit the CD rip by replacing parts of the song with the MP3 version? Wouldn’t this allow for seamless playback without any breaks in the soundtrack? I discovered this training program called ‘The Golden Ears Challenge’ designed to train audio product engineers at Philips to recognize various flaws in audio reproduction. It includes the ability to instantly switch between audio samples. You may be able to ‘borrow’ some ideas for your BluRay project. I wrote about the Phillips program a week or so ago…it’s very telling. In my opinion this should not be an issue. The top rated consumer grade Blu-Ray players for the past two years, new retail cost, are less than $150 and you can get them refurbished online for under $75.00. The digital outputs of the device drive a good quality DAC, which then feeds the appropriate analog inputs on the amp or preamp. Should be quite a simple upgrade. 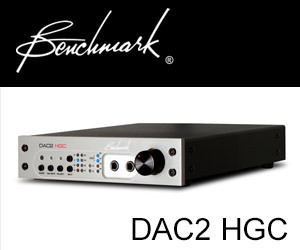 The DAC also might not be needed should any of the groups are using a preamp or receiver with a free optical input. Upgrading to something like the Oppo with a fine analog output stage is a choice as well and those can be had for under $1,000. Based on the cost of what many of these folks spend for interconnects and other components this also should be an insignificant cost. There are a few BD players in the consumer grade end that have analog outputs as well, but, I always consider those to be sub-quality sound-wise; digital output to a nice DAC is preferred. Bring on the BD, I am anxious to hear the end results of your project. For me it is a great new hearing from you on the Blu-Ray disc track options that will accompany the book. Now I will be able to do immediate comparisons using my OPPO 105D. If you intend to attend the RMAF in Denver, next October, I will have the opportunity to buy the book. I’m a serious audiophile with 3 systems in the 3 locations my wife & I spend parts of the year. They range in value from $7K – $30K. All have quality CD playback and the main one also has vinyl. As a member of two audio clubs I have heard several higher bit rate digital playback formats. Many times, but not all, I am impressed with the incremental realism. But I have not migrated to any of these formats because the improvement is not great enough to justify spending money better spent on new CD’s & new/used vinyl when there is too much variety offered & disturbing variability in these higher bit formats. I don’t own a Blu ray player, just 3 old fashion DVD players mostly used when my granddaughter visits, so will not be able to experiment at home auditioning your apparently well designed presentation. Hopefully media producers will eventually migrate to one format (or multiple formats) that one simple box (preferred), or box + external DAC, will allow those like myself to migrate toward improved sonics when enough media is available. I didn’t address downloads or streaming because at this point I have no need for them in addition to what I’m quite satisfied with. Hopefully your pioneering work along with others will help get us to the next level. I, and some of my friends, are able to afford only one room for audio-visual: so our home-cinema is also our music listening room. And since some A/V processors are nowadays of audiophile quality, we have a music environment that is good enough for cinema. Therefore, we have a Blu-ray player in our listening room. After reading through the comments, I have 2 more comments on the Blu-Ray disc. Blu-Ray coax audio output is downsampled. To hear a difference in the formats you must be using either the output of the DVD player DAC or the HDMI output connected to either an A/V processor or to an Audio Extractor. DVD discs support up to 96/24 PCM, so audio switching from 44.1/16 up to 96/24 should be possible with a DVD disc on a standard DVD player. This is an important item to consider. Thanks for bringing it up. I wrote a couple of posts about the Kanex Pro. I recently bought a blu-ray player but I don’t use its disk spinning capabilities. I prefer to plug in a USB hard drive of either ripped BD material or ripped/downloaded audio. The blu-ray player is plugged into a Naim DAC via coax. The cool thing about Blu-ray disc players is their ability to play multiple audio streams and seamlessly switch. I have an Oppo 105D at the heart of my system. Would love the Blu-Ray! Please do go forward with your project ! I for one would love to compare through my Oppo 103 into my Meridian system that is 96/24 it would really be an interesting listen and challenge for my aged ears. Another +1 vote here from a reader with a high-quality multi-channel system and an Oppo universal player. I bought the Oppo mostly for SACD and DVD-A, but would acquire your proposed test disk in a New York minute. As you know, a lot of the Stereophile (etc. etc.) crowd don’t believe in any sort of A/B testing anyway, and wouldn’t be interested in your project regardless. Don’t let Luddite rejection of Blu-Ray decks ruin it for the rest of us. I’m definitely going to be authoring a Blu-ray disc…and I like the idea of a USB card. I currently also am preparing a listening session to finally decide what is more adequate for increasing the sound resolution: upsampling or oversampling. Although I don’t giva what you’re all set to do, well, good luck as well. I have an Oppo 103 & think your idea about Blu-Ray is excellent. I could do the Blu-Ray….. I would love to hear your comparison Blue-ray disk as I am equipped with a Blue-ray player attached to my system. It would be interesting for sure. My system is a combined music listening/home theatre setup. So yes, I’d love a Blu-Ray with the functionality you describe. Having said that, I see mention of a USB card in the comments. That would be even better for me, since it should work great with a HTPC. The Usb idea is great. For those of us without great internet access its a fantastic option not just for the book but for all albums. I’m open to the USB on anything AIX releases…just let me know. I am I guess one of them ‘audiophiles’ but quite a grounded one! I also have quite modest funds and mostly buy gear second hand. I do though have a Panasonic DMO-BD80 blu-ray player that I can connect to my hi-fi (part of which is a 1980’s Krell KSA-100). Q1 – surely the built in DAC’s (and associated circuitry) of bluray players are of varying quality and a poor one would negate any benefit of the recorded material? Q2 – I have an external DAC capable of handling files up to 32bit and 193khz which accepts optical and coaxial inputs (my bluray has both of these). Could I use this with bluray? As a recent discoverer of this website I realise I have a lot to re-learn after years of mis-information spouted from the audio press!! The quality of the DACs will matter but as audiophiles I don’t think we’re dealing with complete garbage with our gear. The DACs on the Oppo BDP-105 are really great and would work for these comparisons. As for the other question, the S/P DIF outputs are downconverted in all Blu-ray players…you’ll need to use the HDMI output with an audio deembedder. “Going to be a terrific package, Mark…assuming the audiophiles you are targeting have either a Blu-ray equipped surround system or, less likely, a BD player as a source in their dedicated 2-channel systems assuming they have the luxury. First I would like to say that, as you can see, I made no disparaging comments on the use of BD in either an audio or video context. Perhaps my using the word “listeners” would have been better than “audiophiles”, a word which unfortunately has acquired the connotation of “snobbery” in some minds. We ARE in fact an “audio” society with a greater interest in listening to recorded music in almost every conceivable format (including Edison wax cylinders!) than the equipment used which is, more often than not, modest in cost. My goal was to provide Mark with market feedback on the use of BD for audio playback from a large group of potential purchasers of Mark’s upcoming BD and book. “The test of the machine is the satisfaction it gives you. There isn’t any other test. If the machine produces tranquility it’s right. If it disturbs you it’s wrong until either the machine or your mind is changed.” Robert M Pirsig. Frank, thanks for clarifying. I certainly didn’t mean to cast any negative aspersions on you or your group. I was glad you wrote with you take on the whole Blu-ray issue. As a result, I will be presenting the tracks on USB stick. And thanks for the quote from one of my favorite books…cheers. No offense taken. Not sure what percentage of your total readership the “+1’s” for BD represent but I congratulate you on the wide acceptance of your BD/book release represented here and hope it is a success both aurally and financially. Zen and the Art of Motorcycle Maintenance was a huge impact on this music loving, guitar playing, motorcycle riding, young man. The left and right brain need to cooperate. I have an OPPO 105D. Would enjoy the Blu Ray disk to use for a A/B comparison test. Great idea. Another here with an OPPO 105 that would be interested in this disc. On another note, I only recently read Zen and the Art of Motorcycle Maintenance, and was struck by how dated the motorcycle technology was at the time it was written. I say this as a motorcycle enthusiast who started riding during the era described in the book, and have witnessed and marveled at the technology progression of both motorcycles and audio over these many years. I owned 6 Hondas in my youth…from a lowly Honda 50 to a 750. Loved riding along the coast of Lake Michigan in the summer.